To track Un-filtered Flights all over the world in real time, click here. 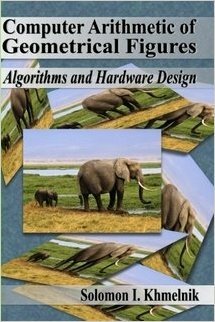 This book describes various versions of processors, designed for affine transformations of many-dimensional figures - planar and spatial. This processors is oriented to affine transformation of unstructured geometrical figures with arbitrary points distribution. The type of data presentation used in this book is non-conventional, based on a not well-known theory of vectors and geometrical figures coding. The problems of affine transformation are used widely in science and engineering. The examples of their application are computer tomography and data compression for telecommunication systems. The book covers the figures coding theory - the codes structure, algorithms of coding and decoding for planar and spatial figures, arithmetical operations with planar and spatial figures. The theory is supplemented by numerous examples. The arrangement of several versions of geometrical processor is considered - data representation, operating blocks, hardwares realization of coding, decoding and arithmetic operations algorithms. The processor's internal performance is appraised. The book is designed for students, engineers and developers, who intend to use the computer arithmetic of geometrical figures in their own research and development in the field of specialized processors.